Home » News » March Newsletter – Employee Spotlight, 5 Tips for Moving with Pets and MORE! 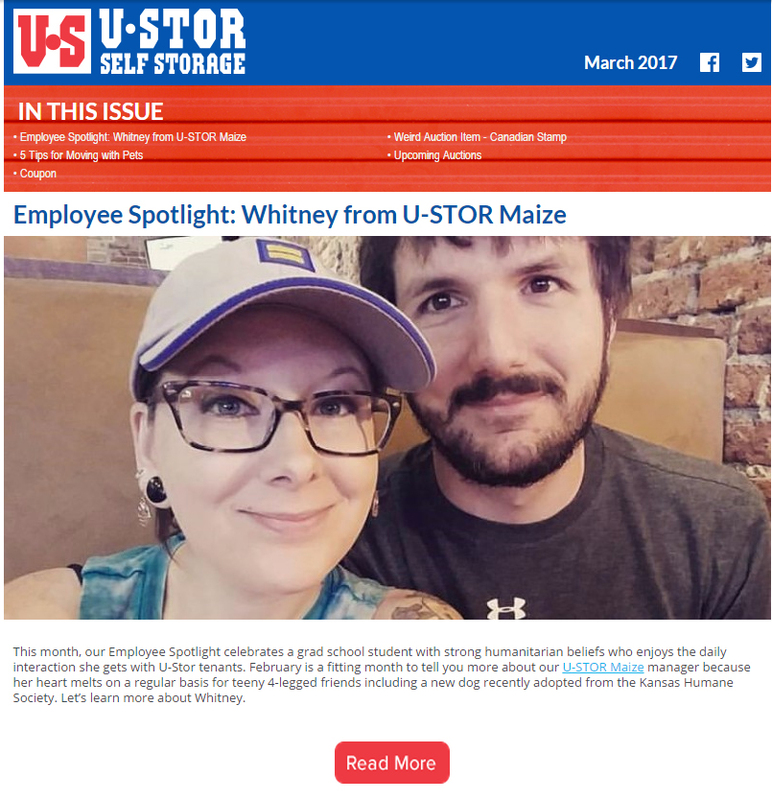 Employee Spotlight: Whitney from U-Stor Maize – This month, our Employee Spotlight celebrates a grad school student with strong humanitarian beliefs who enjoys the daily interaction she gets with U-Stor tenants. Let’s learn more about Whitney. 5 Tips for Moving with Pets – Moving to a new home is an exciting, albeit stressful time for the whole family including our pets. Before you start packing the moving truck, take a few minutes to read the tips below. Taking the proper time and care to prepare your four-legged pal for new surroundings, a different neighborhood, and riding in a vehicle or plane, will make the trip more enjoyable for everyone.